If you know where to look, you can find kid friendly Internet games for youngsters to enjoy. 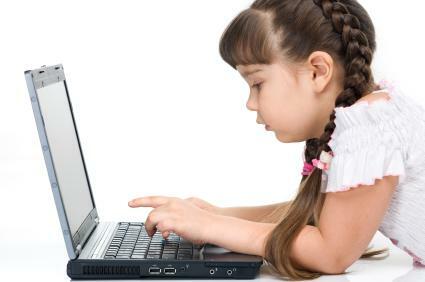 Children enjoy playing computer games. As long as they don't indulge this interest to excess, it can be a fun way to spend time. You may be thinking of kids' games as being video games with stories, but not all games for young people are like that. Games can be used as a tool to teach children new skills or help them improve the ones they already have. There are a number of places where you can find kid friendly Internet games that children will enjoy. Online directories are a good place to find links to games that don't have any objectionable content for your children to play. You can also check out kid-friendly search engines and sites associated with children's' TV shows for examples of games that children of all ages can enjoy. The Games page on the SurfNetKids.com website has an extensive list of kids' games. Just click on the category you are interested in to see all the games for that section. When you visit the FamilyGames.com website, you will see a selection of games that you can download for a fee. Games are also available on CD, if you would prefer not to download them. This site allows users to download a "light" trial version at no charge. That way, you can check out the game to see whether you and your children will like it before you commit to buying it. Not only does the PBSKids.org website have information about the shows the channel offers, but it also has several kids' games. Children visiting the site can click on the icon associated with their favorite PBS show to see games they can play online. The games section of the DisneyChannel.com website has more than 135 games for children to choose from. The site has puzzles, sports, and adventure games to choose from. These are just a few of the many kid friendly Internet games that are available online. If you have other suggestions you'd like to share, please do so in the comments section of this article.